Individual wealth building is a community wealth building approach that aims to increase the savings of low- and moderate-income individuals. One of the pioneering initiatives in this field is the Individual Development Account (IDA). IDAs are savings accounts that match the deposits of program participants, and hence, encourage savings and help low-income people secure important assets. Savers agree to complete financial education classes and use their savings for an asset-building purpose, which typically includes education, small business finance, or a home purchase or renovation project. There are also numerous wealth building initiatives at early stages of development, such as downpayment or closing cost match programs for low-income families and child savings accounts for higher education. 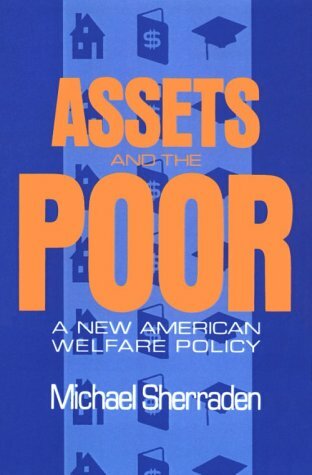 Michael Sherraden, a professor at Washington University in St. Louis, is credited with introducing the IDA concept in his 1991 book, Assets and the Poor: A New American Welfare Policy. Sherraden envisioned a much broader universal benefit program. The IDA programs that have been implemented are far more modest. Nonetheless, IDA programs at the state and federal level have broadly popularized the matched savings account concept. Today, nearly 600 community-based IDA programs now operate across the United States. They help community residents develop their own, long-term wealth-generating capacity. They promote education, homeownership and small, local business development—critical elements of vibrant, sustainable neighborhoods. By teaching participants key financial skills, they empower people to make informed choices and secure their own financial wellbeing. Our Support Organizations section highlights major organizations working to advance Individual Wealth Building efforts. One such group is the Corporation for Enterprise Development (CFED), a national nonprofit that promotes asset-building strategies as a way to ensure a sustainable economy accessible to all people. CFED’s website features a wealth of resources on IDAs, including a searchable database of IDA programs located across the country. Our Best Practices section showcases exemplary organizations, such as EARN in San Francisco, CA, working in the Individual Wealth Building field. As one of the largest providers of matched savings accounts in the country, EARN is credited with helping 5,200 people save $6.2 million since 2002. Our Research Resources section highlights web-based resources focused on Individual Wealth Building. For example, the Washington University Center for Social Development’s website features a wide variety of resources on asset building including links to a range of downloadable publications and to projects from around the world engaged in asset-building. Our Articles and Publications section includes links to a diverse selection of articles, reports, papers, and books focused on Individual Wealth Building. One such paper is CFED’s Rebuilding American Success: Savings and Opportunity for All (2013), which calls for federal policy reforms that give low-income households better access to the financial tools and knowledge they need to build a secure future. Our Toolbox features resources designed to help on-the-ground practitioners interested in implementing effective Individual Wealth Building initiatives. For example, Woody Widrow and Lauren Gates’ IDA Toolkit: Expanding Savings Opportunities in Texas Through IDAs and Matched Savings would be useful to anyone seeking to establish an IDA program as it details key factors relating to program design, development, management, and funding. And, lastly, our Policy Guide provides an overview of related federal initiatives and programs that can help practitioners leverage resources and increase their impact. For example, the Assets for Independence Act (AFIA) is a grant program that has provided significant funding to IDA programs across the country.